The Dickies Redland II Safety Boot is one of our most popular, exceptional value safety boot. 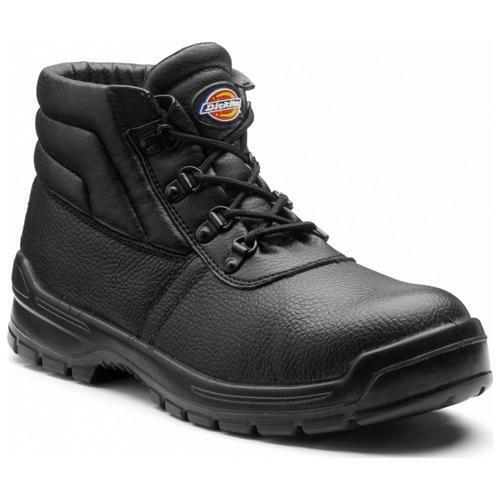 The Dickies Redland has steel protection in the toe-caps & midsole as well as offering anti-static properties and an SRC rated slip resistant sole. With a leather upper and padding, for comfort, on the collars & tongues this product doesn't compromise on features despite the incredibly low price tag.